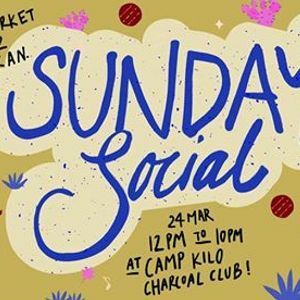 Sunday Social returns to Camp Kilo Charcoal Club for another wholesome day of music, food and shopping! The Sunday Social Market is a passion project of DJ Zig Zach and Jade Amar, with two very different backgrounds: Music and Fashion. The idea was to create a space where people can hang out with their friends, listen to good music, eat delicious food and discover local brands and talented crafters. All the things they love in one place! 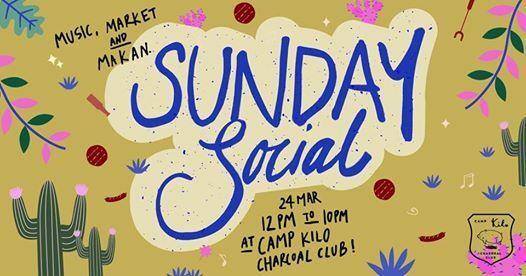 Expect some good ol' House music, artisanal bakers and crafters, interior decor, fashion accessories and of course the hearty roasts from Camp Kilo Charcoal Club. Come make your Sunday Cheat Day a memorable one with us come MARCH 24!